Twenty years ago, I did photographs of Hartford Village, Vt., for a Valley News profile of the changing face of the small community. I did pictures at a bait shop, Head Start program, the library, Bingo hall and at professional photo lab that was about to close. Since then, the majority of the small businesses focused on photography in the area are gone, replaced by smartphones and apps. 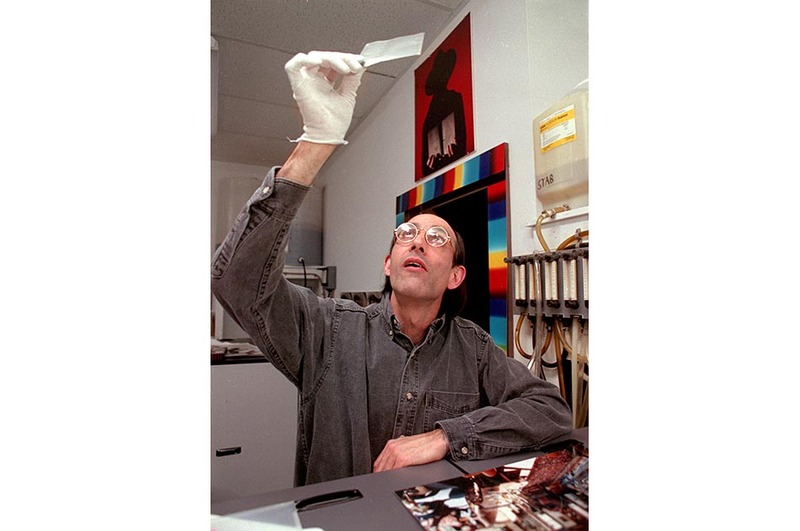 Color printer Dennis Grady checks a print against a customer’s guide during a work day at Hathorn/Olson Photo Labs in Hartford, Vt., in Jan. 1996. After 10 years, the business closed to leave a commercial vacancy in the village.